Can a Divorce Sever a Joint Tenancy with Right of Survivorship? It is not unusual for many of your divorce clients to hold a real estate parcel in joint tenancy with their respective spouses. 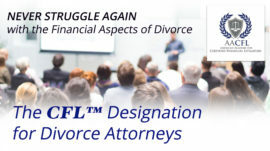 Should the couple wish to sell the property and split the proceeds, your CFL Designation for Divorce Practitioners gives you the advanced financial knowledge necessary to value it, determine each spouse’s interest, and construct a property settlement agreement taking the results into consideration. But what if the couple wants to do something else with the property? The Supreme Court of Georgia recently addressed such a situation in the 2018 case of Cahill v. United States. Here the husband, Mr. Hall, purchased the property years before marrying Ms. Cahill. After their marriage, he signed and recorded a quitclaim deed in 2005 transferring the property to himself and Ms. Cahill as joint tenants with right of survivorship. When the couple divorced in 2008, their PSA, incorporated into the divorce decree, gave Ms. Cahill “exclusive use and possession” of the property until she reached age 66, at which point it would be sold and the proceeds split equally between Mr. Hall and Ms. Cahill. In the meantime, both parties’ names would “remain on the title.” Subsequent to the divorce, Mr. Hall failed to pay his federal taxes and the IRS placed a tax lien on the property in 2013. Ms. Cahill continued to live in the house until her death in 2015, after having turned 66 the same year. Neither party listed the house for sale between the date of her birthday and the date of her death. The District Court held that the divorce decree and PSA were ambiguous and asked the Georgia Supreme Court to address several issues, including the effect of the divorce decree on the joint tenancy with right of survivorship. The Court held that the divorce decree itself in effect created a new deed upon awarding the property to Cahill for a period of years. In addition, it held that despite the fact that both parties’ names remained on the title, had they intended to retain joint tenancy with right of survivorship, the PSA would have stated that. Since it did not, and since the parties’ clear intent was to sever all ties with each other via divorce, the Court held that the divorce decree severed the property’s joint tenancy with right of survivorship. 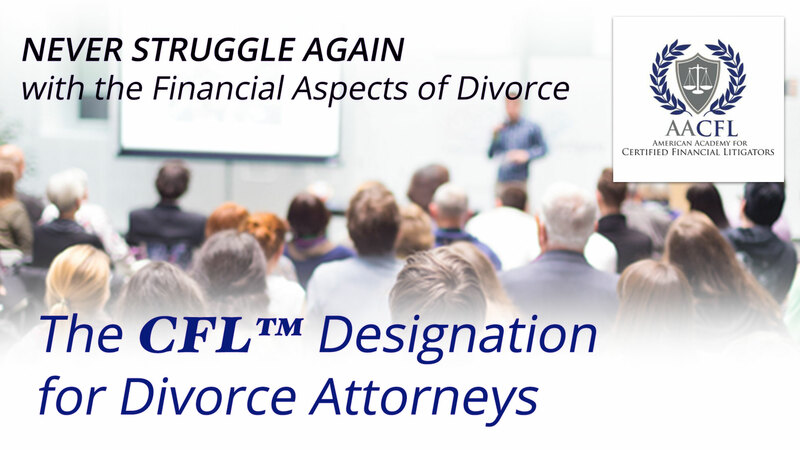 For more information on financial issues you need to be aware of, how gaining your CFL Designation for Divorce Practitioners will give you the financial knowledge and skills you need to attract additional high-asset clients, and the other benefits of AACFL membership, please visit this page. Rethinking Your Critically Important Requests for Production of DocumentsIs Retirement Income a Changed Circumstance Requiring Alimony Reduction?